This year you will see a renewed effort at enforcing our “no texting” policy. Recently, we had a DOT recordable. The truck had DriveCam. What we saw is a driver (ex-driver, I might add) who ran into the back of a truck who was stopped in traffic with its hazard lights on. Our driver hit the back of it doing 65 mph and applied his brakes at impact. Why? He was looking at his cell phone the entire time. This is dumb and dangerous. Professional drivers don’t do this. The vast majority of our professional drivers wouldn’t even think of doing this. This driver had only been with us three weeks. Every good carrier in the industry prohibits texting. The problem has been finding a way to enforce the rule. Event recorders open up a window into this type of behavior that we didn’t have before. Now that we can see why the accident or near accident occurred, we can do something about it… and we will. This is one of the benefits of inward facing cameras. It shouldn’t be hard because everyone can make the decision and New Year’s Resolution to leave the phone down. Our policy is “hands free” only. This mirrors the federal rules which prohibit texting and provide severe penalties, up to and including loss of a CDL for drivers who text. FMCSA has published new rules that restrict texting and the use of hand-held mobile phones by truck and bus drivers while operating a commercial motor vehicle (CMV). Research commissioned by FMCSA shows the odds of being involved in a safety-critical event (e.g., crash, near-crash, unintentional lane deviation) are 23.2 times greater for CMV drivers who text while driving than for those who do not. Texting drivers took their eyes off the forward roadway for an average of 4.6 seconds. At 55 mph, this equates to a driver traveling 371 feet, or the approximate length of a football field (including the end zones)—without looking at the roadway! Most of our drivers respect this common sense rule. But a few don’t. Texting is not a mistake…it is a something one decides to do. Event recorders will show us who these folks are. We will be bringing violators into compliance, and for those who won’t, they need to drive for another company. Safety and Compliance is a core value here. Core values are not only important to the team, they are non-negotiable. When someone violates a core value, we will throw a flag. We value your safety and those who share the road with us. Is this a double standard for truck drivers? Perhaps, but you are the professionals. You are always held to a higher standard than the four wheelers. Good professionals welcome that. And at ACT we are always getting better. I appreciate what you do. At ACT, you can count on the fact that the drivers you associate with are the best. ACT professionals raising the standard as is our tradition. 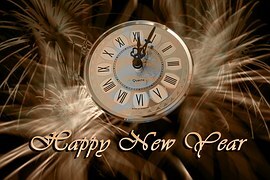 It is traditional to make resolutions at the end of each year for the next year. Goal setting is an important part of success. As Yogi Berra once said, “If you don’t know where you are going, you’ll end up someplace else.” As people who navigate every day for a living, we all know that we plan our day with the destination in mind and work our way back from there. Improving customer service. Drivers all want miles because they are paid by the mile. So is the company. Drivers are often shocked when I tell them that I don’t have any miles. It’s true. I don’t make anything, I don’t ship anything; the customer does. The customer has the miles. They give the miles to us and we in turn give them to you. So what is the secret to good miles? Obviously, it is critically important to keep the one who creates the miles, the customer, happy so they keep giving them to us and give us more. Keeping the customer happy is even more important in a soft freight environment. When carriers have more freight than they can haul, as happened in 2014, we see new customers call us. On the other hand, when freight is soft, customers get lots of calls from truckers and brokers. In fact, it is a sure sign to them that they have the upper hand in rate negotiations. When freight is busy, the customer has to figure out how to secure enough capacity to haul its freight. On the other hand when freight is soft, the customer has to decide which of the many carriers calling to use. If you were in this situation what would you do? You would pick the truckers with the best rate and the best service and reject the others. All of us can always improve customer service. This is a great New Year’s resolution to ensure all of us get the miles we need. It can wait. We all want to be safe, both for ourselves and others. One of the most dangerous things on the road today is the use of cell phones while driving. You see it with the four wheelers each and every day. Our policy is “hands free” only. Common sense will tell you that there are times when we ought not to be on the phone at all; congestion, bad weather, school zones, constructions zones and other dangerous conditions. Event recorders teach us all through film review how easily any distraction can be unsafe. Let’s all resolve to put that phone down…it can wait. 8 mpg. Even though we are seeing low fuel prices we haven’t seen in years, fuel is still the largest expense for a trucker. A contractor will buy 15,000 to 20,000 gallons per year. We buy 5,300,000 gallons per year. You can easily see why saving a couple cents at the pump or improving your mpg 2/10’s saves a lot of money over time. Our trucks will get between 8 and 9 mpg from fuel conscious drivers. Some get over 9 on an annual average. Whether you are a contractor or employee everyone’s job is to save money so we can take more home. Pick one or two habits to change for the year. Speed is the biggest. Slowdown 2 mph and see what happens. Check, really check, your tire inflation. Use cruise more. Keep your trailer gap and tight as possible. Balance your load. If you pick one or two of these for a resolution you can make a big difference. Review your budget with those at home. This is a great time of year to sit down with your spouse and do a budget. This is especially important for truckers. Your miles will vary each week and in different times of the year. Your check is not the same every week. But your bills are. You can control your expenses. Sit down and make a plan. Use last year’s miles as a base. Be sure to allow for savings for the inevitable slow times or the times something goes wrong. 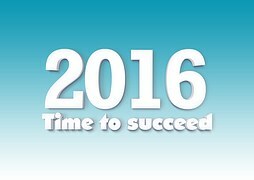 I hope some of the tips can help you make 2016 a great year!